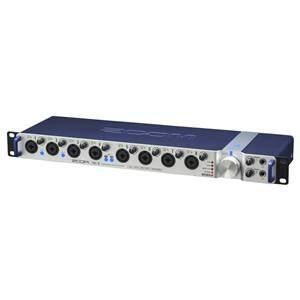 The Zoom TAC-8 Thunder Bolt Audio Interface features a staggering 8 XLR/TRS inputs allowing you to capture a range of audio types from instruments and microphones in hi-fidelity resolution. 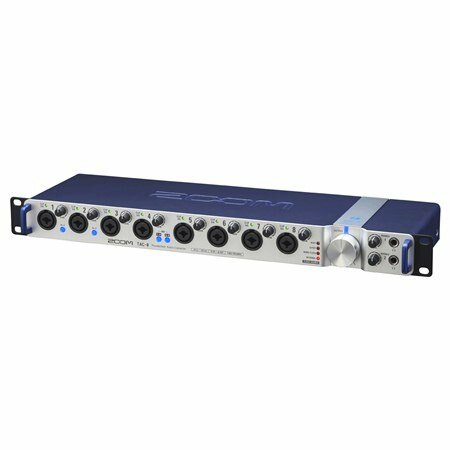 The Zoom TAC-8 Thunder Bolt Audio Interface features a staggering 8 XLR/TRS inputs allowing you to capture a range of audio types from instruments and microphones in hi-fidelity resolution. Powered through an ultra-high speed Thunderbolt connection the Zoom TAC-8 integrates seamlessly with Thunderbolt compatible Mac computers. Also featuring MIDI in/out connections, TRS (balanced) outputs, 8 line outputs, 48V phantom power, 2 stereo headphone outputs and digital SPDIF and ADAT connection the TAC-8 is a powerful central hub perfect for home and project studios. 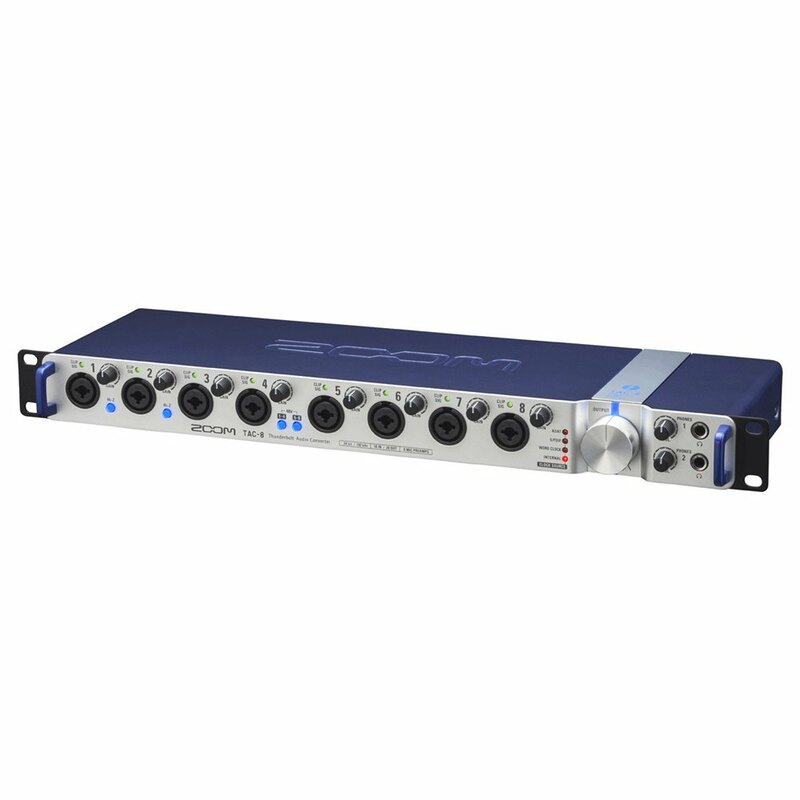 The TAC-8 features a range of digital and analog input and output connection to provide maximum compatibility and integration for a variety of instruments and studio set ups. 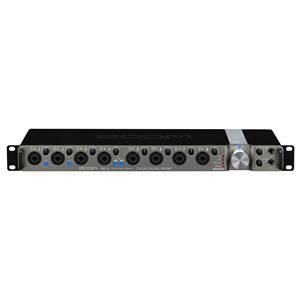 With eight front facing XLR/TRS inputs you can capture hi-fidelity audio from a range of microphones, line level instruments (keyboards) and even passive instruments such as electric guitars and basses. 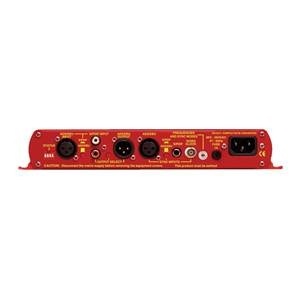 Located to the rear of the compact unit are two TRA balanced output jacks (left and right) that provide direct outputs to studio monitors and powered speakers as well as 8 balanced TRS line outputs for connecting to external effects units and mixing consoles. Additionally there is two 1/4 inch front facing stereo headphone jacks with dedicated volume control for critical mixing and isolated monitoring. 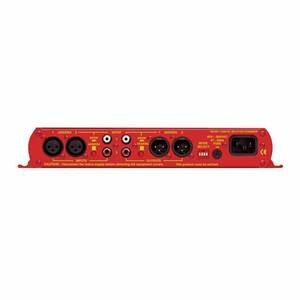 Featuring both ADAT and S/PDIF digital inputs/outputs the TAC-8 allows the use of up to 10 inputs from external interfaces as well as 10 outputs, providing a combined total of 18 inputs and 20 outputs through the TAC-8 device. Also incorporating high speed MIDI in and output connections the Zoom TAC-8 can be used to integrate controller keyboards, software controllers and synthesizers. The addition of MIDI connections and built in word clock make the TAC-8 a versatile alternative to multiple interfaces as it provides comprehensive connections for all your studio gear directly to your digital audio workstation.